David Weekley Homes is a leading Texas builder of quality home communities. You will find a large variety of home plans to suit your individual style. They offer new homes with the latest energy-saving features throughout the cities of Dallas and Fort Worth. They also offer you the chance to make minor changes to floor plans, as long as they do not interfere with load-bearing walls or the home's foundation structure. They offer new homes in master-planned communities where you do not have to worry about setting up electricity, water and sewer services. The Imagination Collection of homes offers the look and feel of an expensive luxury home but they are surprisingly affordable. You are the designer by selecting the counter tops, flooring and carpeting. You can also select a bonus room that can be used as a media room, workout area or as an extra room for family gatherings. Some of these beautiful new homes are constructed with Hardiplank instead of real wood. You will find Hardiplank is used in many communities as exterior siding or wood trim. Hardiplank combines the look of natural wood with the durability of fiber-cement. 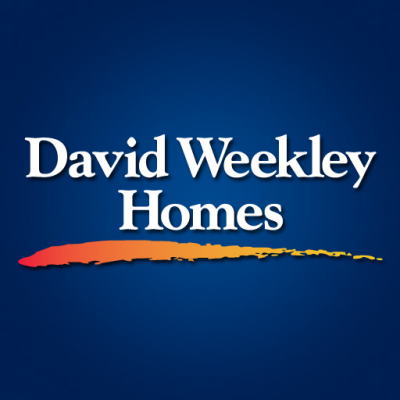 David Weekley Homes is a top builder in the Dallas and Fort Worth, Texas area. The Dallas and Fort Worth metroplex offers many local attractions and entertainment districts. You will find the best shopping and dining experiences found anywhere. The cities offer new home communities that are conveniently located near thousands of acres of park land. The area is also known as the DFW metroplex. The metroplex has a nationally top-rated zoo. David Weekley Homes offers big-city living in private gated home communities located throughout the metroplex. These communities are minutes away from local attractions. You can visit Western museums that feature historical artifacts and information about the cities. The metroplex offers dozens of festivals, parades and community events several times a year. The cities also offer recreational activities for people of all ages. You will find hundreds of community events located throughout the metroplex. Whether you are looking for arts, culture or nightlife, the metroplex has dozens of attractions to suit everyone in the family.